Vivo launched a variant of Y51 smartphone that was launched a month ago. The new smartphone is dubbed as Y51L and is launched in India for a price of Rs. 11,980. The handset supports Indian 4G LTE brands. 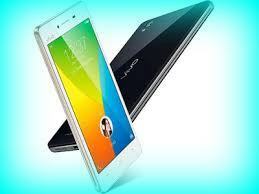 New Delhi: Vivo Y51L sports 5 inch display with 540 x 960 pixel resolution. It weighs 157 grams. The handset is powered by Qualcomm Snapdragon 410 processor whose clock speed is 1.2 GHz. The processor is backed by 2 GB RAM and the internal storage is 16 GB. Memory can be expanded up to 128 GB via micro SD. It has 8 megapixel rear camera and 5 megapixel front camera on board. The handset comes out of the box with Android 5.0.2 Lollipop operating system. It supports GPS, WiFi, Bluetooth and 4G LTE connectivity. Other features are 3.5 mm headphones, FM radio and dual SIM. There are ambient light, accelerometer, gyroscope and proximity sensors. It comes packed with 2350 mAh battery. Vivo Y51L comes with glass back cover. CEO of Vivo India Alex Feng said that their products received positive demand across markets and there they are launching another product by name Y51L expecting to strengthen hold on market. The specifications of Vivo Y51 and Y51L are almost similar. This entry was posted in Launches, Tech on January 31, 2016 by Rakesh.